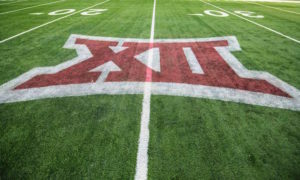 The Big 12 Men’s Basketball Tournament begins on Wednesday at the Sprint Center in Kansas City. HeartlandCollegeSports.com will be there for the entire event. Today we preview the second game of the tournament — Oklahoma vs. West Virginia. 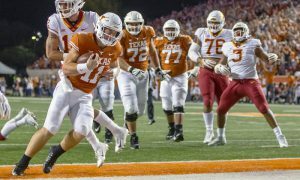 Season series (1-1): West Virginia def. 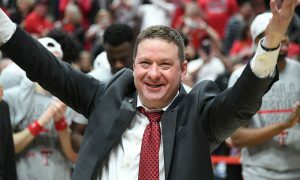 Oklahoma, 79-71, in Morgantown, WV, on Feb. 2; Oklahoma def. West Virginia, 92-80, on March 2 in Norman, Okla. Winner gets: a Thursday game with No. 2 seed Texas Tech at 7 p.m.
Oklahoma: G Jamal Bieniemy, G Christian James, G Rashard Odomes, F Brady Manek, F Kristian Doolittle. West Virginia: G Jordan McCabe, G Jermaine Haley, F Emmitt Matthews Jr., F Lamont West, F Derek Culver. Oklahoma: Doolittle. The Big 12’s Most Improved Player has finally come into his own in the Sooners’ offense. He’s scored in double figures in each of his last nine games and has three double-doubles during that span. He’s now their primary scoring option inside and the first player that Bieniemy looks to when he drives to the basket. West Virginia: Culver. The freshman made the most of Big 12 play, as he finished Big 12 action as one of three players with a double-double average. Texas Tech’s Jarrett Culver and Kansas’ Dedric Lawson were the other two. Culver is the future of West Virginia basketball and he’s tough to handle inside. 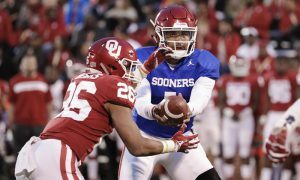 Oklahoma: The Sooners started strong, had a significant lull but are now on an upswing. 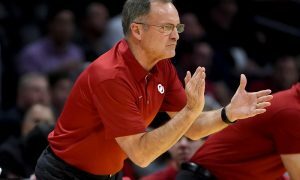 Lon Kruger’s squad started February with four straight losses, but ended the seasons with a 4-2 stretch in Big 12 action that included a win over Kansas that ended the Jayhawks’ 14-year reign of regular-season titles. The key to the stretch run has not only been the rise of Doolittle but the choice to move Bieniemy into the starting lineup. He’s a truer point guard for the offense and he allowed Kruger to moves James into more of an off-guard role. While the Sooners are trying to get to 20 wins and make the NCAA Tournament, the future clearly revolves around Doolittle and Bieniemy. 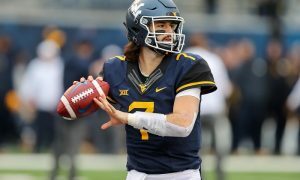 West Virginia: This is a season Mountaineers fans would rather forget — except for the past few weeks. The Mountaineers two of their final four games, including a home upset of Iowa State. 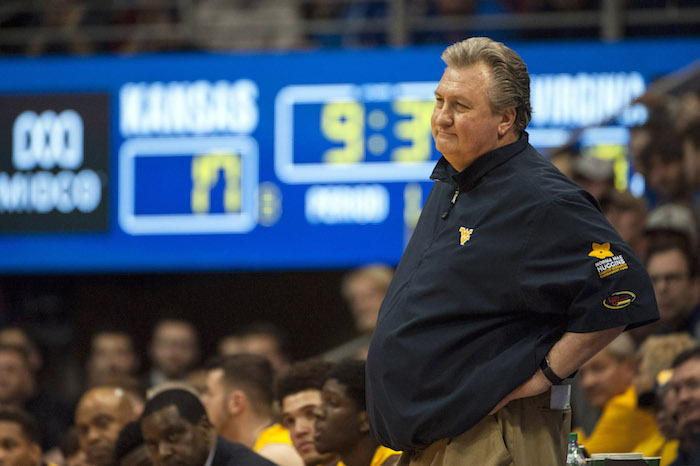 Head coach Bob Huggins has found his “ride-or-die” guys and they’re the future. Culver you know about. But don’t underestimate the contributions that McCabe and Haley have made recently, either. McCabe had 25 points and 11 assists in the triple-overtime win over TCU. Haley scored a career-high 28 points against Iowa State. There are some budding offensive stars on this team. And they’re all coming back next year, along with West, a junior. Oklahoma: Bieniemy has the fourth-best assist-to-turnover ratio among guards in Big 12 play (2.4). West Virginia: Culver had 8 double-doubles in Big 12 action and led all players with 3.8 offensive rebounds per game in Big 12 play. Who wins? : It first I was thinking about taking the upset here. The Mountaineers are playing better basketball and the win over Iowa State showed me they’re committed to finishing the season on the right foot. 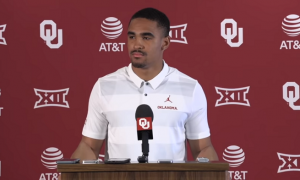 But Oklahoma is a better team overall, the Sooners have played better basketball the past three weeks and they have the forwards inside to handle Culver defensively. Plus, the Sooners have players that have been to Kansas City before. West is the only Mountaineer starter that has played in the Big 12 Tournament. There’s something to be said for a group of young players with clear heads who don’t know they’re supposed to win actually winning a game like this. But the Sooners know they need that additional win for NCAA Tournament consideration. And I think they’ll get it. 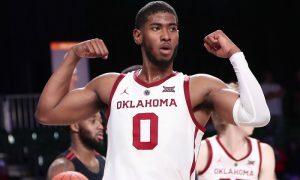 This is the kind of game where I think James could come up huge for OU. (all times EST; start times are subject to change).